The shooting of the movie is currently on at Ootty. 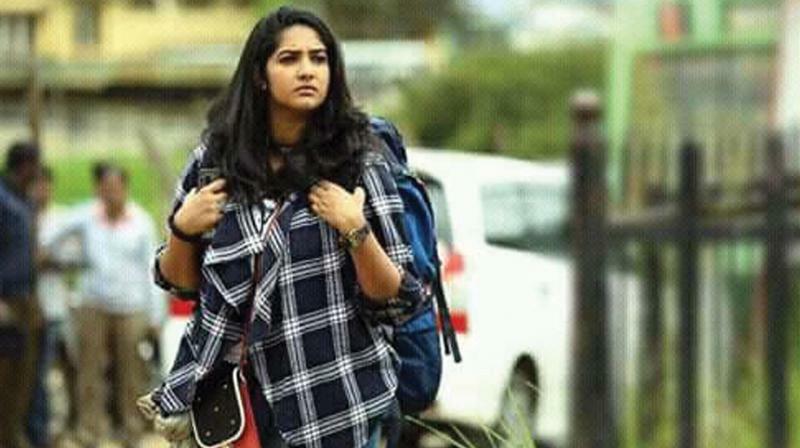 Karthika Muraleedharan, who made her acting debut as Dulquer Salmaan’s love interest in Amal Neerad’s Comrade in America (CIA), will next be playing the heroine in the movie Uncle starring mega star Mammootty. Uncle, directed by debutant Girish Damodar, will be the second movie scripted Joy Mathew after the critically-acclaimed Shutter. Though it is not clear whether Karthika acts as Mammootty’s romantic pair, the news has invoked excitement among film buffs, especially Mammootty fans who are eager about Mammootty’s role and appearance in the movie. The news of Karthika, the daughter of noted cinematographer C.K. Muraleedharan, playing the heroine in Uncle was let out by Joy Mathew himself on his Facebook wall. The shooting of the movie is currently on at Ootty.